Beginning in 1968, Mister Rogers’ Neighborhood, also known as Mister Rogers, is an American children’s television series that was created and hosted by Fred Rogers. The series is aimed primarily at preschool ages, 2-5, but has been said by PBS as “appropriate for all ages”. 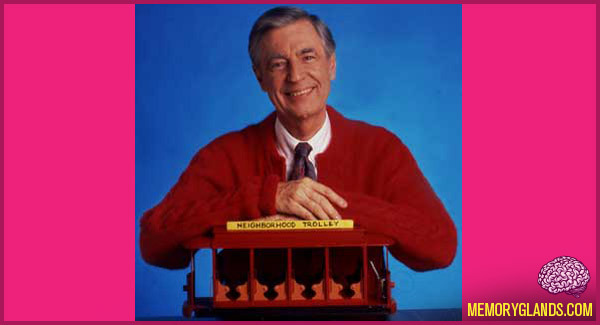 Mister Rogers’ Neighborhood was produced by Pittsburgh, Pennsylvania. It is the second longest running series on PBS, after Sesame Street. The series could be seen in reruns on most PBS stations until August 29, 2008, when it was removed by PBS from their daily syndicated schedule along with Reading Rainbow, Boohbah, and Teletubbies. A number of stations have chosen to continue airing it independently of the PBS feed.